Ships tomorrow if you order in the next 19 hours 56 minutes. 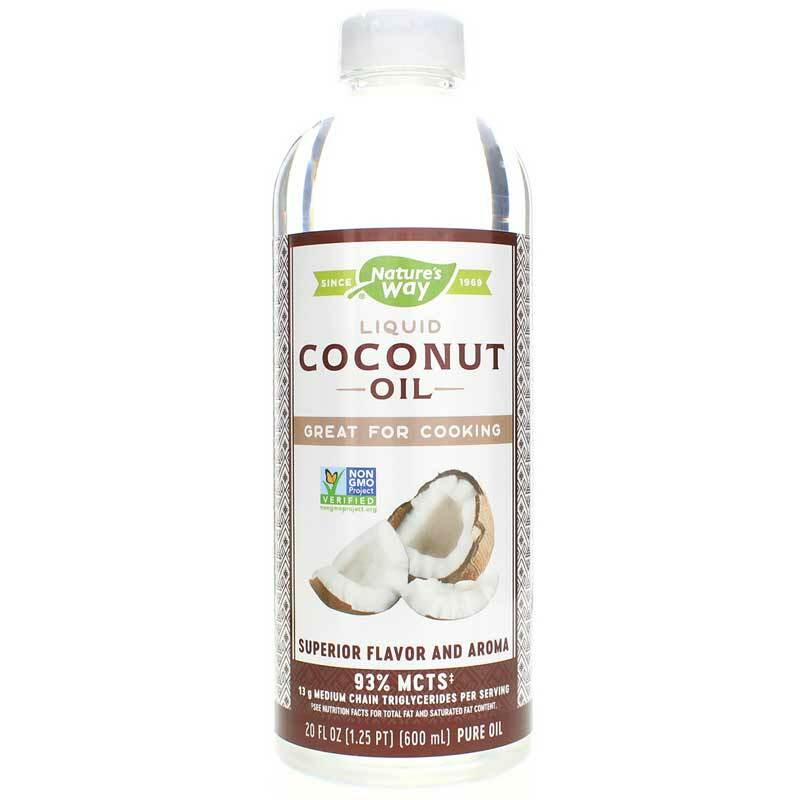 Nature's Way Liquid Coconut Premium Oil is great cooking oil made from pure, expeller pressed, non-GMO coconuts to help your body produce natural energy. 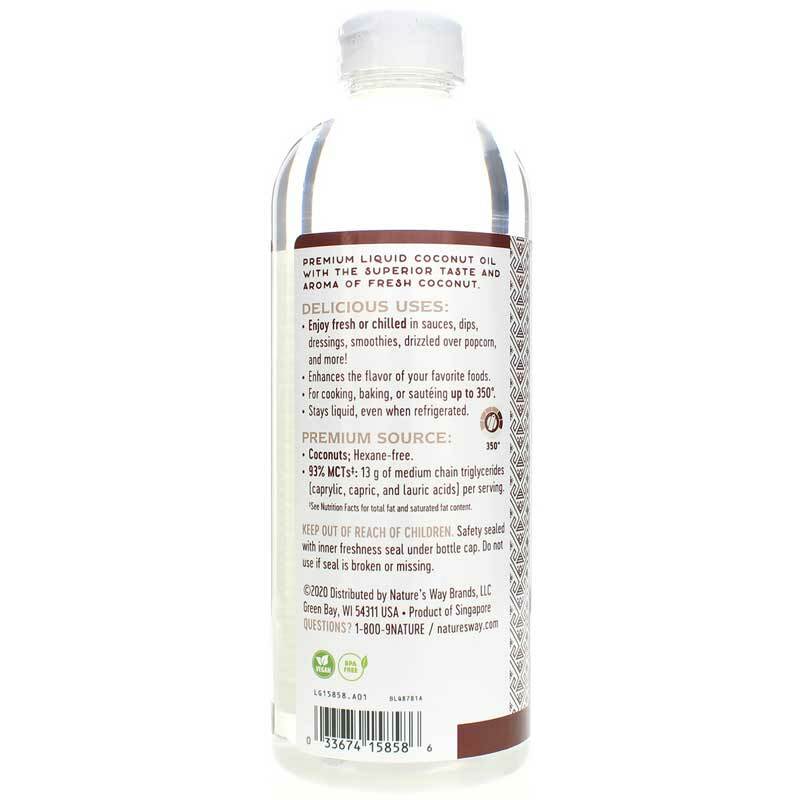 Made with up to 93% medium-chain fatty acids, or triglycerides, (MCTs), this premium coconut oil maintains the full aroma and taste of fresh coconuts. 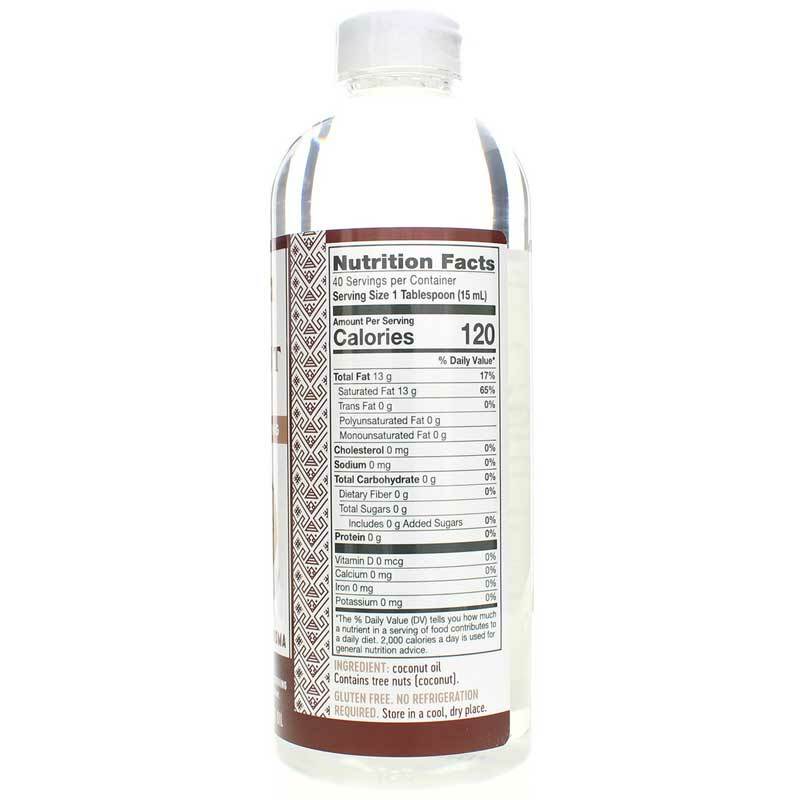 MCT molecules are smaller than those in other forms of triglycerides, or fats. This enables your liver to absorb the MCTs and rapidly transform them into energy without the insulin spike associated with carbohydrates. And as your body converts the MCTs into energy, it stimulates your metabolism, potentially providing support for weight management programs. And even when it is refrigerated, this coconut oil will stay in a liquid form. As an alternative to butter, margarine or vegetable oil, use for baking and saut+¬ing in temperatures up to 350 F. Great for salad dressings, sauces, dips, smoothies, drizzling over popcorn and more!